Whether you're in your final or first year in college, there'll be one question that you keep coming back to: what next? The breadth of career opportunities is expanding every year, with jobs that weren't even in existence a decade ago now proving hugely popular. For instance 'UX designers,' 'sprint masters' and even 'app developer' were job titles that were virtually unheard of 10 years ago. While some people may have a clear idea of what exactly it is they want to do when they leave college, there are many more who still aren't sure or even aware of the range of possibilities. As such, figuring out a career path you're best suited to, let alone passionate about, can be a daunting prospect for many. For those looking for some direction and advice, there are thankfully many resources available to help guide you in choosing the right path after college. While the majority of college courses will provide assistance to graduating students in this regard, the value of an outside opinion can't be underestimated. Future Jobs Finder is a new tool developed by Vodafone to help you discover new and exciting opportunities available because of technology. The Future Jobs Finder tool can help you discover new careers you may not have previously considered. It offers a simple quiz which will evaluate both your personality and aptitude, and provide you with feedback on what careers you would be most suited to. Even thinking about your own responses to the questions may give you a better sense of what kind of career and working environment you'd be best suited for. 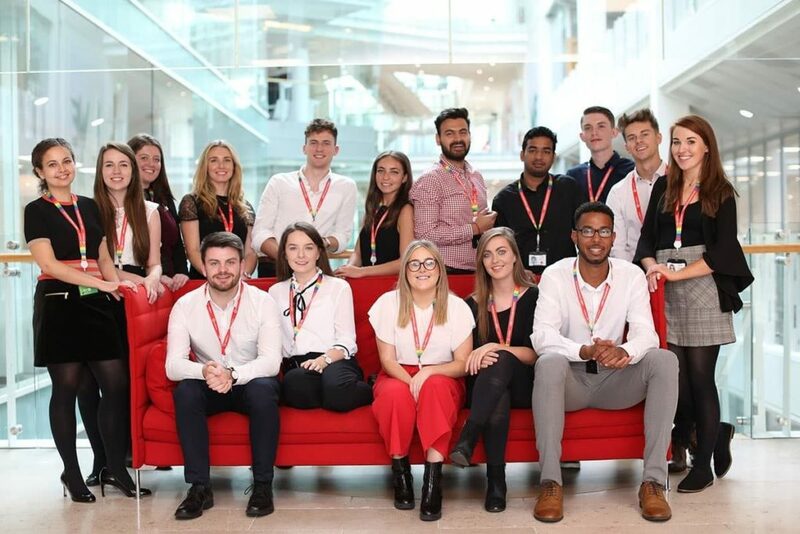 If you are thinking about the future and what possibilities lie ahead then the Vodafone Graduate programme offers opportunity in a vast array of areas; providing you with invaluable experience and helping you find your passion. The Vodafone Graduate Programme provides a fantastic opportunity to gain experience of professional life in one of Ireland's most exciting and innovative technology companies. Working in Vodafone's headquarters in Leopardstown, Dublin, successful applicants to the programme will be placed in either a 'technology' or a 'commercial' stream, based on their individual skillsets. In each of these streams graduates will be assigned to work on a rotational basis through various departments within the company. Applications to the Vodafone Graduate Programme are now open. To apply simply visit their website and fill out the application form. There will then be a short psychometric test to evaluate whether you have what it takes to work in one of Ireland's leading technological companies. Candidates who successfully pass this stage will then be asked to undertake a video interview. The final round sees those who progress beyond this stage invited into the offices for an experience day which includes an in-person interview and several teamwork exercises. So what are you waiting for? Get applying and good luck! Brought to you by the Vodafone Graduate Programme. Applications now open.